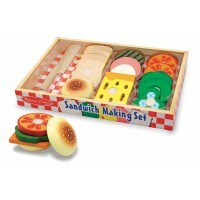 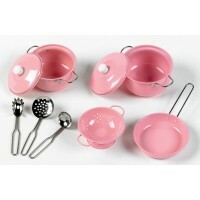 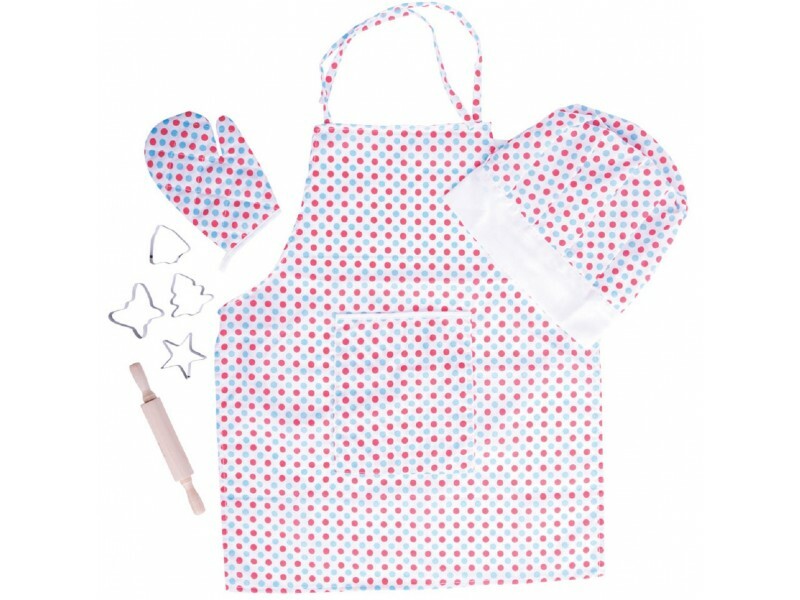 Our Spotted Children's Chef Set is the perfect gift for junior chefs who enjoy being creative in the kitchen. 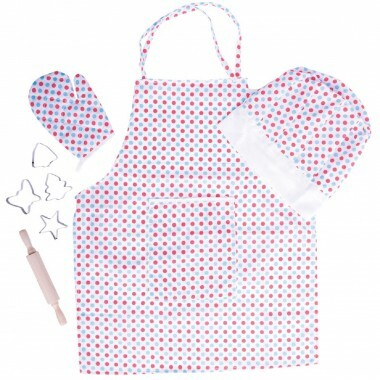 This delightful set comprises a beautiful spotted cotton apron with matching oven glove and chefs hat. 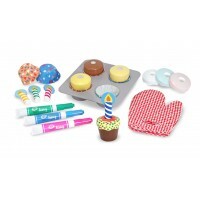 A childrens rolling pin and four pastry cutters complete the set. 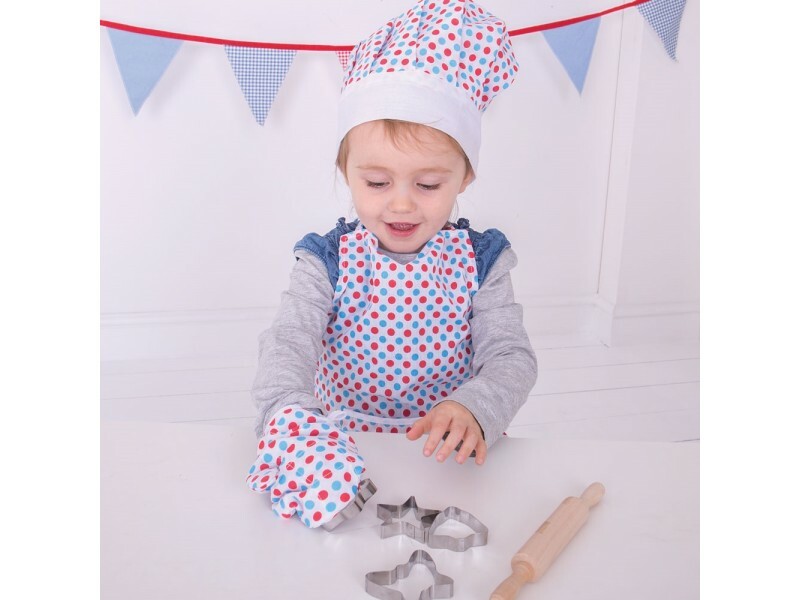 Good buy hat a bit big and awkward to get on?